“I have been getting these headaches lately, what can I take?” Or, “I don’t know why, but my stomach has been bothering me lately I need a supplement to fix it.” These are a couple of examples of the questions I get asked on a daily basis. Many people are under the assumption that a Holistic Nutritionist can offer a quick fix to their health problem or a band-aid solution to whatever ails them. Then again, maybe I should feel honored that people believe I can cure them on the spot! Unfortunately, it’s usually not as easy as that. You see, while there are a number of supplements and remedies that can offer quick relief of symptoms, typically the issue has been going on for a while and we need to uncover the cause of the problem in order to find a long-term solution . When you go the Doctor, his or her main job is to get you out of your discomfort or pain and to make sure you don’t have a serious illness. A Holistic Nutritionist works in a completely different manner. Of course, we also want to make sure you don’t have a serious illness, but since we are not trained to determine that, (I can’t tell you how many times I’ve been asked to “diagnose” things) it is always best to consult with your Medical Doctor if you are concerned about a persistent symptom. On the other hand, if you have had the same symptom(s) for years OR you have already received a diagnosis of your condition, that’s where we come in. For example, your Doctor may tell you that you have gastric reflux or chronic migraine headaches or high cholesterol, and he/she will want to give you prescription medicine to take every time your “issue” comes up, or even daily to prevent the problem in the first place. Unfortunately, too often those medicines simply block the problem from surfacing and don’t really “fix” anything; many times, they actually make the problem worse in the long run, or cause new health issues to emerge, as in the case of antacids, corticosteroids, blood pressure lowering medication and others. So why are so many people tempted to go this route? Usually because (a) it will get them out of their discomfort quickly, which is certainly understandable so I’m not diminishing that fact; and (b) for some reason I’ve never been able to understand, they are terrified of not listening to the Doctor or trying a healthier alternative before resorting to harmful prescription medications. Unlike some others in my field, I’m not opposed to Doctors or medicine when required. Obviously, if you have a raging infection and need antibiotics right away, or are in a tremendous amount of pain or you simply don’t feel comfortable with natural medicine, then you should absolutely follow the treatment plan your Doctor provides. The issue I have is that more often than not, unnecessary medications or repeated antibiotics are prescribed for chronic health issues when a much simpler treatment plan will correct the imbalance with time. And that’s the important part: the process can take a while, since it took time for your body to get so out of whack in the first place! It involves changing your lifestyle, your diet, determining which foods you might be sensitive or allergic to, finding the type and level of toxicities in your environment and the food your ingesting as well as dealing with any emotional factors or hormonal problems that may be contributing to your problem. This, along with the appropriate vitamins and supplements – which often need to be reviewed and updated every month to ensure progression towards better health – generally takes a lot longer than the the quick fix pill your doctor will provide. Eventually you will feel better, have more energy and not get the symptoms making you feel like crap in the first place, but it certainly won’t be overnight. All that being said, in acute mild illnesses or discomfort, such as a cold or sore throat, sinusitis, acute digestive upset, stress due to a particular event, etc., herbal, homeopathic redmedies and essential oils can provide fantastic quick relief in most cases without suppressing the bodies natural functions the way OTC medications do, but when those very same colds or sore throats are chronic, the underlying cause has to be dealt with. 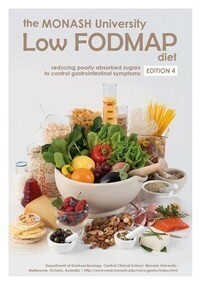 I hope this helps clear up your understanding of Holistic Nutrition and Natural medicine. Contact me HERE and I will be happy to help you any way I can. Buy organic potatoes: I know what you’re thinking: “A gazillion pounds of organic potatoes will cost me a fortune!” But this isn’t the case; organic potatoes are really not much more than conventional ones. The reason to spend a little extra? A 2006 U.S.D.A. test found 81 percent of potatoes tested still contained pesticides after being washed and peeled, and the potato has one of the highest pesticide contents of 43 fruits and vegetables tested, according to the Environmental Working Group. So with all those potatoes being eaten, wouldn’t you feel better knowing you were giving your family a lot less potentially harmful substances? Eggs should have no hormones or antibiotics in the feed: While I don’t recommend buying organic eggs, because there are too many blood spots found in them, the next best thing when consuming as many eggs as we do on Pesach, is eggs with no hormones or antibiotics in the feed. The only brand I have found to specify this on the label is Earth’s Best, which is found in most supermarkets. Note that eggs labeled Omega-3 are not the same thing and this causes a lot of confusion among consumers. The Omega-3 label simply means that flax seeds have been added to the feed; it does not mean that hormones or antibiotics have not been given as well. Use spelt matzah instead of wheat: Spelt is nutritionally superior to wheat and easier to digest. While spelt does contain gluten, the gluten content is less, and many people sensitive to wheat find they can tolerate spelt. (Note that spelt is not suitable for those with celiac disease or those on a gluten-free diet). Even if you aren’t sensitive to wheat, another benefit to choosing spelt instead is that it remains unaffected by concepts such as ‘agribusiness’, ‘cross-breeding,’ ‘hybridization’ and ‘genetically modified’ – words that have come to dominate our modern food supply. What does this mean to you? Less toxic substances and chemicals being consumed, better for your health. It is easy to find Organic Spelt Matzoh at you local grocery store. Cook and bake with grapeseed oil instead of cottonseed oil: According to most health experts, cottonseed oil is one of the unhealthiest oils around. 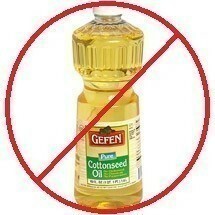 Cottonseed oil contains natural toxins because in order to extract oil from cottonseed, these seeds have to be modified genetically. The oil also contains unacceptably high levels of pesticide residues, since cotton is not classified as a food crop and farmers use many agrichemicals when growing it. Additionally, since there is a similarity in the molecular structures of the composition of cottonseed and peanut oil, some people who are allergic to peanuts also suffer from the same allergic reactions after consuming cottonseed oil. In contrast, grapeseed oil is rich in proanthocyanidins (OPC) a compound that is high in antioxidants which are 50 times more effective than Vitamin E and 20 times stronger than Vitamin C. Grape seed oil is also able to handle high-temperatures without smoking, burning or splattering. This means it can be safely used for high-heat stir-frying and baking. Another great benefit – Grapeseed oil has a light nutty flavor lacking the heaviness of other oils, so it will not affect the flavor of your food. While Kosher for Passover grapeseed oil is difficult to find in Canada, De La Rosa Kosher Italian Grapeseed Oil, which has an OU-p, can be ordered from Amazon in the U.S.
Bake, don’t buy, Pesach cakes: In addition to saving you lots of money, baking your own cakes for Pesach has many benefits over purchasing ready-made ones. First, you can decrease the amount of sugar in almost every Pesach cake recipe, without affecting the final result. Second, you can use Organic sugar according to most halachik authorities, as long as it has a reliable kosher symbol, no special Kosher for Passover certification required. Third, commercial Pesach cakes are loaded with chemicals and preservatives in order to increase their shelf life, contains food coloring, unnatural flavoring and cottonseed oil. Baking your own allows you to use grapeseed oil and the healthier eggs discussed above, eliminates the need for chemicals and gives you the opportunity to incorporate ingredients like raw almonds or walnuts (if there are no nut allergies in the family) to add healthy fatty acids as well as fiber. Choose recipes that have the lowest amounts of potato starch for the healthiest result. Drink dry red wine: Dry red wine has some antioxidant properties as well as bioflavonoids, which help to fight free radicals — the damaging agents in your body that can lead to heart disease and cancer. What this means is that the cups of wine you consume for the Seder do offer some health benefits in addition to all those calories. Speaking of calories, avoid sweet wines, which contain more than 45 grams of sugar per liter and therefore a lot more calories, as opposed to the 4 grams of sugar per liter that dry red wine contains. If you or your children are drinking grape juice at the Seder, brands like Kedem and Concord now make organic grape juice with no sulfites. Sulfites, or sodium/potassium metabasulfite as it is commonly labelled, are a potential food allergen that can cause headache, facial flushing and itching and are found in all wines and grape juice unless it specifies “sulphite-free” on the label. It is more difficult to obtain wine without sulphites, but if you tend to get any of those reactions after drinking wine, you might consider making the switch. That being said, some people get a reaction due to other substances in wine.Since white wine often has a higher sulfite levels than red wines, if you don’t react to white wine, then you know that it’s something in red wine other than sulfites that is causing the problem. (Note that organic wines are not necessarily sulfite free). Stick to whole foods: Simply put, eat plenty of fresh fruits and vegetables, salads, roasted vegetables, fish, chicken and lean meat and drink plenty of water. This way, you won’t find your health adversely affected by this holiday! Check out the Recipes page for healthy recipes suitable for Passover. While you’re at it, see this previously written post about what to eat on Passover. Wishing you all a Chag Kasher V’sameach!